The lessons learned from more than a decade of wars in Iraq and Afghanistan pushed the U.S. Army to seek a replacement for the HUMVEE, which has been in service for 30 years. Oshkosh Defense will produce its replacement, the Joint Light Tactical Vehicle. Oshkosh beat out Humvee-maker AM General and defense giant Lockheed Martin on the largest Army contract award in recent years that could be worth up to $30 billion, according to DefenseNews.com. The iconic Jeep was the first iteration since the mule when it comes to ubiquitous military vehicles. The Jeep, produced throughout World War II, which was so plentiful in the European Theater that many German soldiers believed each American GI was issued one, became available to civilians in 1945. As battlefield realities and mission requirements evolve, so too must the vehicles. The HUMVEE was next, replacing the Jeep in 1985, with a civilian model offered in 1992. Given this trend, it is within reason to hope that the JLTV will see action in the civilian market in coming years. If so, it would be a formidable stock vehicle, with modification options abounding. On its own, the machine carries the protection of a light tank.The JLTV features underbody and side-armor protection found standard in Oshkosh’s larger and heavier M-ATV, an MRAP, but at about two-thirds of the weight, with a larger payload and greater reliability than a Humvee. An added bonus is that the JLTV is transportable by a CH-47 Chinook helicopter, CH-53 heavy-lift helicopter and by amphibious vessels. This was nearly impossible with the elephantine MRAP. 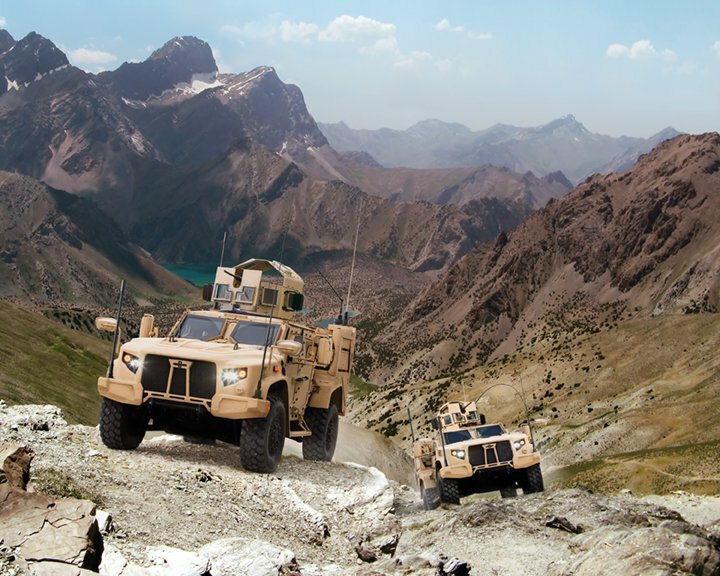 The $6.7 billion low rate initial contract, and a base contract with eight options commits Oshkosh to produce the first 16,901 vehicles for the Army and Marine Corps. Ultimately, the manufacturer will produce 49,100 for the Army and 5,500 for the Marine Corps.